BUSINESS & GOLF - PLAY BETTER GOLF. Managing Your Business Game is designed to help managers and sales people use the game of golf as a strategic business tool. This conference will show you how to make the day at the golf course work for you. The key to business is relationship management - building, maintaining and improving relationships with key business partners, suppliers and customers. Used properly, the golf course offers the perfect environment to establish rapport, develop trust and learn more about a client’s business needs. 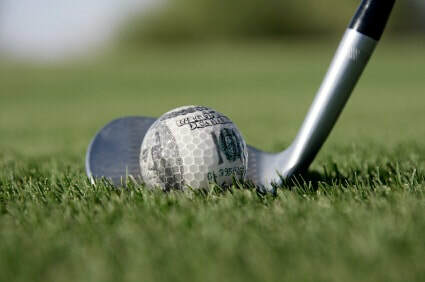 Whether you are playing one-on-one with a client or sponsoring a corporate event, you will learn how to maximize the impact of your golf entertainment effort. A stimulating and interactive format that includes lecture, discussion, demonstration and application of strategy. Required seminar materials include Managing Your Business Game by Megan Younkman, Participant Information Sheet, one notebook, pen/pencil, golf bag and equipment, appropriate business attire for classroom session and appropriate business golf attire for golfing session. Each attendee receives a copy of the USGA Rules, Handicap & Etiquette – In Brief Bundle. CPA's, Accountants, Real Estate Industry, Medical Professionals, Lawyers, Brokers, Financial Industry Leaders, Construction Industry, Retail Industry, Executives, Entrepreneurs, Employees, Sales, Marketing Firms, Service Industry Professionals and MORE! FL CPA's earn 12 BEH CPE credit! 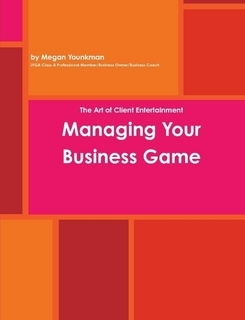 Managing Your Business Game is now available on both LuLu.com and Amazon.com. Digital Version is available for download on iTunes in iBooks. Stop in to the MYPRO Golf Schools to have your copy signed for you from the author, Megan Younkman. Please Call Megan Younkman directly at 813.967.1828 to inquire about Corporate Caddy services.